This Arabic for complete beginners course is designed for complete beginners who are travelling to an Arabic-speaking country. This is a summary of the objectives for this Arabic course for complete beginners. To be able to establish basic social contact by using the simplest everyday polite forms of greetings, farewells, introductions, saying please, thank you, sorry etc. To be able to follow speech that is very slow and carefully articulated, with long pauses for him/her to assimilate meaning. To be able to understand very short, simple texts a single phrase at a time, picking up familiar names, words and basic phrases and rereading as required. To be able to interact in a simple way but communication is totally dependent on repetition at a slower rate of speech, rephrasing and repair. To be able to produce simple mainly isolated phrases about people and places. To be able to ask for or pass on personal details in written form. To be able to write simple phrases and sentences about themselves and imaginary people, where they live and what they do. College Name Languages Unlimited Svcs. 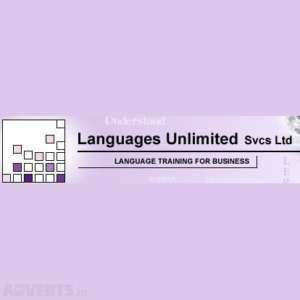 Ltd.
For information about Languages Unlimited Svcs. Ltd., please visit our college page on www.nightcourses.com by clicking here.